Just think of the stories they'll have to tell when they return to school! Ultimate Watersports has collaborated with Earth Treks Climbing Centers to bring you a fresh new idea that is a guaranteed winner. This five-day camp is for kids age 10 to 14, and it will expose your child to two of the greatest adventure sports around: Rock Climbing, Kayaking and Stand Up Paddling. There are 24 spaces available for each week of this series, divided into two groups of 12. Each day of camp will begin and end at Earth Treks Timonium. We will begin at 9:00am and end at 3:00pm. Basic swim skills are mandatory. $445 per child for the session (early registration discount not applicable). 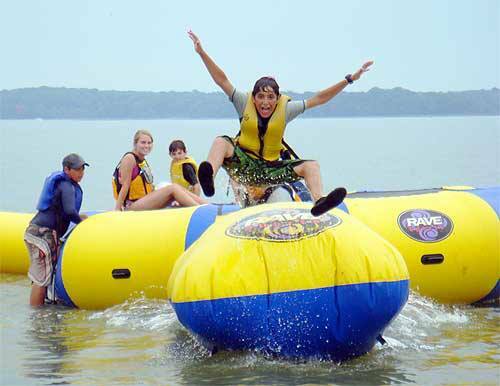 Additional information and registration on the Rock N' River camp is available on the Earth Treks Summer Camps web site. The kids will all start out at Earth Treks Timonium, one of the largest indoor rock climbing gym on the East Coast. One group will spend the first two days at the indoor gym where they will learn the basic safety skills needed for climbing and then get the opportunity to climb their hearts out! They will learn about traversing and roped climbing, as well as teamwork and building self-esteem. The second group will have the unique opportunity to discover the exciting world of Stand Up Paddling and Adventure Kayaking. 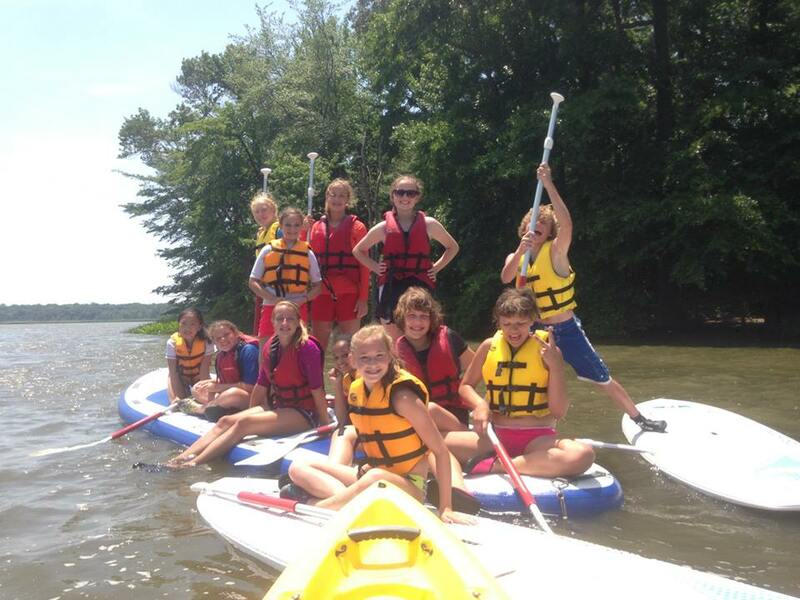 Under the guidance of the Certified Instructors from Ultimate Watersports, campers will explore the upper Chesapeake, while learning the basic skills of recreational paddling. Topics covered include kayaking, tides, currents, weather, water safety and self-rescue. The two groups of kids will trade places, with the rock climbing group going outdoors to paddle and the paddling group coming indoors to climb. This final day will be spent in the Earth Treks Timonium gym. The campers will meet up for some friendly Olympic-style events involving everything the campers learned in the first four days. Campers must provide their own lunch, preferably in a cooler or insulated lunch bag. All watersports equipment is provided, however campers must bring a swim suit, dry change of clothes, sneakers, sun screen (spf 30 or better), and watersports booties. Read the Summer Camp FAQ. Courses will fill up quickly! We hope to hear from you soon!